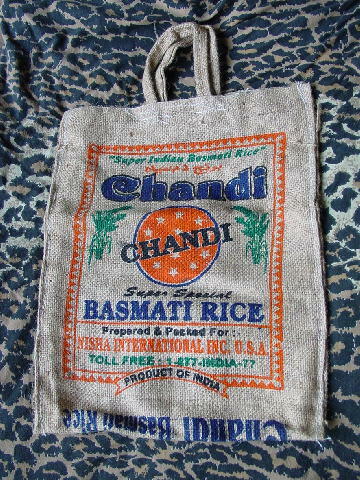 This burlap tote (was never used as a purse but it did carry rice) has an orange border and within that border it says Chandi in large dark blue letters and in black letters across the orange circle. 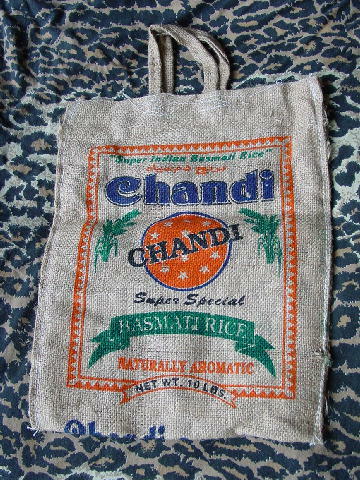 In green letters it says "Super Indian Basmati Rice". The rest of the words and designs are in green, orange, and black. It has two 9" long handles.